The Blogger team have added a new "Geotagging" feature to Blogger in Draft which enables you to add a location to each of your blog posts. This will then display in your post-footer section (near your post labels, timestamp, etc), and will act as a link to a page on Google Maps where readers can learn more about the location. Your post locations will be included in your blog's RSS and Atom (XML) feeds using GeoRSS which is a web standard for Geotagging. This is important as it allows feed readers, map readers and search engines to associate your posts with particular locations. For example, if you tag your blog posts "New York", these posts can be found more easily by those searching for content based on the New York area. 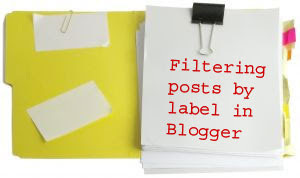 In order to Geotag your posts (add a location) you must create or edit your post through Blogger in Draft. This is because this feature is still experimental, and has not yet been rolled in to the main post editor. Type the location you would like to add in the search box near the top of this pop-up box, and press "Search". You may need to refine your search by adding more details (eg: country, city name, street address) in order to find the location you require. Once you have found the correct location, you can zoom in (for more accuracy) if you prefer, and finally save your location. Important: once you have geotagged a post, you cannot remove this tag! If you do need to remove your geotag for some reason, Blogger recommends that you copy the content of your post and create a new one, then delete the old geotagged post. At present, this is the only way to "remove" a geotag, though it is more of a workaround than a proper solution ;) I suspect the Blogger team will enable us to properly delete or edit a post's geotag before this feature is rolled out for the main post editor. The first step to making Geotag links appear beneath your posts is to enable this setting in the Blog Posts widget. To do this, go to Layout>Page Elements while logged into Blogger in Draft, and click the "Edit" link for the Blog Posts widget. On this pop-up page, you will notice a new checkbox for "Location". Ensure you have ticked this checkbox, and save your changes. If you have recently changed your template to a default Blogger theme (or have recently started a new blog), this simple change of setting will enable you to see Geotag locations beneath your posts straight away. If you are unable to see your Geotags after this change of setting, you need to follow one of the instructions below instead. Since this is a new Blogger feature, your existing template may not currently include the code required to make geotags appear for each of your tagged posts. If you use a default Blogger template, the simplest way to enable the Geotags for your posts is to pick a new template. Simply go to Layout>Pick new template in your Blogger dashboard and choose the template you would like to work with. This can be the same template you are currently using. This method refresheds the template code and adds the section required to make the Geotags appear in the post footer section. Alternatively, you could "Revert the widget templates to default" on the Layout>Edit HTML page of your blog. This has the same effect as choosing a new default template. If you use a customized or third party template, you will need to add the code required for the Geotags to display manually by editing your template code. To do this, go to Layout>Edit HTML in your Blogger dashboard and ensure you have checked the "Expand widget templates" box. If you cannot find either of these lines in your template code, search for "post-labels", "post-icons" or "timestamp" to locate the appropriate section of your template instead. Be sure to add this outside any other tags! If you did find the <div class='post-footer'> tag (or similar) in your template, the safest place is to add the code immediately after this line. Then preview your template. If all is well, you should now see Geotag links appear beneath any posts you have Geotagged with a location (though none will appear on posts which have not been tagged).If you have made any errors when adding the code above, you'll receive a message that your template cannot be parsed. In this case, simply "Clear edits" and attempt to paste the code again. Is Geotagging a useful feature for Blogger? I personally feel that Blogger's integration of this new feature will prove very useful for a large proportion of the Blogger community. So far the comments I have read on the introductory post for this new feature have been very positive, and it seems many creative coders have already expanded their ideas for how Geotagging can be intrgrated for widgets and other useful features. However, this may not be a feature which is beneficial for us all. Here on Blogger Buster, for example, the location where these posts are typed does not complement the content and has no added benefit for readers (I like to think the content posted here has international appeal!). What are your opinions of Blogger's new Geotagging feature? Will you be using this feature to complement your own blog posts? Please feel free to let us know your own opinions and comments by leaving your message below. ... So over the next few weeks I'll be posting some festive Blogger tutorials (and possibly a festive themed template or two!). In the meantime, why not check out my latest post over at Blogging Tips: The Festive Toolbox, which offers a great range of resources to help you decorate your blog for the holiday season? 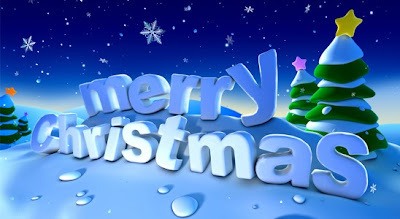 If there are any particular festive customizations you would like to learn about, please let me know by leaving your comments below. 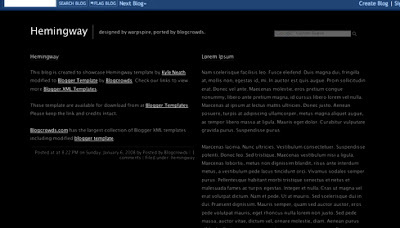 Here is another free Blogger template for you to download: Halo 01. This template uses a minimalist, grid-based layout and a unique presentation of post meta-data (labels, posting date, etc) which appear in a column to the left of each post. 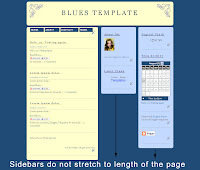 You can preview a larger version of this template by clicking on the image or viewing the demonstration blog. Download the Halo 01 template and save this to a location on your computer. This template is contained in a Zip folder which you will need to extract using Winzip or your favorite extraction program (if you use WIndows XP, you should be able to decompress the file automatically). Ensure you have saved the Halo_01.xml file to a location on your computer which you can remember easily. Then log into your Blogger dashboard and go to Layout>Edit HTML. Click on the "Browse" button to locate the Halo_01.xml file on your computer, then press "Upload" to replace your old template with this new template. If you have many widgets in your existing layout, you may be prompted to delete these before the changes can be saved. Be sure to make a back-up of any important widgets before saving these changes! Alternatively, take a look at my tutorial for how to retain widgets when changing Blogger templates. Once you have uploaded your new template (and confirmed deletion of widgets if necessary), your new template is ready to be configured. The code highlighted in red demonstrates the actual links you should change: replace these with the URL which you want the navigation buttons to point to. The code in blue is the link text. You should replace these snippets with the text you would like to be displayed on the navigation buttons. The CSS code required to style the Flickr Photostream is already present in the Halo 01 Blogger template. To add the code required to display a Flickr Photostream, go to Layout>Page Elements in your Blogger dashboard and click the "Edit" link for the Flickr Photostream widget. Replace the user ID number (highlighted in bold red) with your own unique Flickr ID. If you do not know what your Flickr ID is, you can find this easily using idGettr; simply enter your Flickr username and this simple utility will find your Flickr ID for you! Finally, save your changes to this widget. Now when you view your blog in your browser, your own Flickr images will appear as thumbnails in this widget. The generic icon in the top right of the header section can be replaced with your own avatar if you prefer. Firstly, design your avatar and ensure this is 60px wide and 50px tall. Upload this new avatar to your favorite image host (I prefer Picasa Web Albums, though you could use Photobucket or any hosting service you prefer). Be sure to copy the URL of your avatar to your clipboard. Replace the code highlighted in red with the URL of your new avatar, being sure not to disturb the surrounding single quotes ('). Preview your template to ensure no mistakes have been made when pasting your URL, and if all is well, proceed to save your template. All images and content used in this template were created by myself, including the mini-icons used for the post meta-data. This template is distributed under the Creative Commons Non-Commercial Attribution 3.0 license. This means you can use the template in any of your projects and make any modifications you choose, so long as you do not sell this template and provide attribution to the original author in some way. I hope you enjoy using the Halo 01 template for your blogging projects! Please feel free to offer your comments and opinions using the form below. 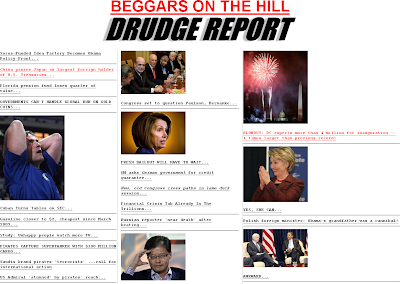 The Hemingway template does not include a sidebar in the layout. Instead, widgets are contained in the footer section (beneath the posts) which effectively puts most focus on the blog posts and less on the widget contents. 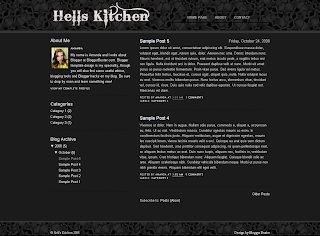 You can download the Hemingway template for Blogger from BlogCrowds in both the black and white variations of design. In this tutorial, I'll explain how you can create a three column Blogger template in which two columns are dedicated to posts, while the third may be used as a regular sidebar. On item pages, the post will take up the full width of two columns to ensure there is no unsightly gap between this and the sidebar. In this tutorial, I'll explain how to transform the default Minima template so that posts appear in (narrower) columns, side-by side on home, archive and search pages, with a sidebar of the same width appearing on the right hand side of the posts. However, once we have done these two steps, there will be a few other code and CSS issues which we need to resolve in order that the template will appear as it should. I will take you through all steps nescessary to ensure the layout appears as it should, with explanations and visual examples at each stage. An issue which you should consider when using this tutorial is that the width of each posts column (on non-item pages) will be decreased to 290px. This means you should ensure images in posts are no wider than 290px (including any padding or borders) otherwise the posts columns will be pushed beneath each other, rather than be displayed side-by-side. If you usually display large images and wish to do so on item pages, we can add some extra CSS to the template to restrict the width of images on non-item pages, as I will explain later in this tutorial. Most of the techniques described in this tutorial may also be applied to different templates. If you would like to transform your own (non-Minima) template in this manner, my advice would be to follow each step of this tutorial in a test blog first, then see how this could apply to the different CSS classes and identifiers in your own template. It's much better to have some experience of this technique beforehand than to jump in feet first! If you're looking for a quick and easy way to add "dummy content" to your blog, check out LoremIpsumDolarSitAmet.com which generated paragraphs of dummy text automatically (including my favorite filler text: Jabberwocky!). 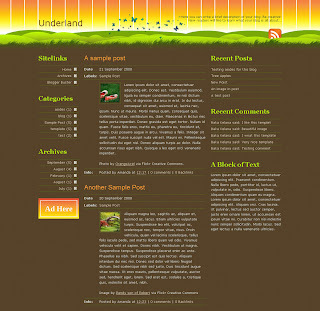 Once you have created your test blog, we can begin changing aspects of the layout. Now I am assuming you are using the Minima template (it doesn't matter which color), and that the sidebar is on the right-hand side of your layout. At the moment, the layout is too narrow to accomodate a third column. So we need to alter the dimensions of the layout in order to create more space. The #outer-wrapper is the container which holds all of the content in this template, including the header, main posts section and sidebar. At present, your outer-wrapper will be 660px wide. We will increase this to 940px which will allow us to have three columns of 290px, 290px (the posts) and 300px (for the sidebar), plus margins between to allow for eye-pleasing white-space. Change the 660px (highlighted in red) to say 940px instead. The #main-wrapper is the section which contains your blog posts, blog pager (newer/older posts) and any messages which appear when you perform a search or filter posts by label. We need to increase this from 410px to 620px, which will allow enough room for posts to display side-by-side in two narrower columns. And replace 410px with 620px instead. Personally, I find a three column newspaper style template to be more pleasing when all three columns are approximately the same width. So we will increase the width of the sidebar from 220px to 300px, which will equal the width of the post columns and their white-space. And replace 220px with 300px instead. If you take a look at your template now, you will notice that the header and footer sections are narrower than the overall width of the blog. This is because the Minima template uses specific widths for the #header-wrapper and #footer sections of the layout. To widen these two sections (which complements the new wider design) we need to remove the width statements in the b:skin section of the template. This will then allow the header and footer to stretch to the width of the outer-wrapper and appear harmonious to the design. And remove the line highlighted in red. And again, delete the line in red. Now preview your template: you should notice that the header and footer sections now stretch to the overall width of the blog. Then delete the line in red. Since the description uses margins and padding, we can do away with the "max-width" property, which ensures this section is properly aligned to the heading above it. When displaying posts side-by-side, it is ideal to have an even number of posts displayed. However, it is not always possible to do so. For example, on archive pages there may be an uneven number of posts for any given time period, or a blog search could produce 3, 5 or another uneven number of results. For this reason, we must ensure the blog pager (which displays links to the home page, newer and older posts) has a fixed width. Otherwise it may appear at the top right of the posts, which is not harmonious to the design. This will ensure the pager always spans the width of both post columns on non-item pages. At this point, we have made some heavy modifications to the Minima template. So if you have not already done so, save your template now. Step 3: Ensure the "date-header" appears in the right place! In the Minima template, the section of code which produces the "date heading" for each post is outside the main "includable" for the blog posts. Since we are making two columns of posts appear on the home page of this template, we need to alter the placement of the date-header code, otherwise the date-headings will appear out of place! This section brings together all elements of your blog posts to display in your active blog pages. The lines I have highlighted in red generate the date-heading for each post. These are the lines which need to be moved to a different place in the template code. Highlight these three lines in your template, and key CTRL+X (or CMD+X) to temporarily "cut" them from the template. These will be copied to your clipboard so you can paste them in the new location. And paste the three "cut" lines immediately after it. Now preview your blog to ensure the date-headings are visible above each post. If all looks well, you can proceed to save your template. We have modified many aspects of our Minima template in preparation for the new posts column on non-item pages. Now we can add some conditional CSS which will make posts appear side-by-side! And paste this immediately after the closing </b:skin> tag in your template code. You can then preview your template, and will be able to see the results right away! Save your template at this point, and view your demonstration blog in your browser. Have a play around with the pages, viewing archives, performing searches and the like. You will see that on non-item pages, the posts appear in narrow columns side-by-side, whereas on item pages, the post will span the width of both columns! Your new post columns are slightly narrower than the width for "large" images which you may upload to your posts. This means that large sized images will be "cut off" when displayed on non-item pages. Specify the width of post images on non-item pages. This would reduce the width of large images to only 280px on non-item pages, whereas on individual posts, the images will display at full width. However, any images which would usually be smaller than 280px in width would be stretched to this width. You could of course choose for images to be even narrower (eg: 100px or 150px) if you plan on serving smaller sized images as well as large ones. Simply change width: 280px to your chosen specification. Don't forget to adjust the width of the blog-pager section! Add conditional CSS outside the <b:skin> section of your template, which ensures the posts appear side-by-side only on non-item pages. You may need to experiment with different widths and margins to find the ideal dimensions for your own layout. I hope this tutorial has explained how to create a newspaper style template in Blogger in which posts appear side-by-side. 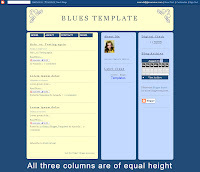 The methods used here have been tried and tested for modifying the Minima template, though for other Blogger templates you may need to make more adjustments and possibly change background images to accomodate the new dimensions of your three-column layout. If you have any useful tips to accompany this tutorial, or would simply like to leave a comment, please feel free to leave your message below. Many Blogger users have reported that their custom favicon has suddenly been replaced with the default orange Blogger favicon. Thankfully, there is an easy "fix" for this issue! Simply locate the line(s) of code you have added to your Blogger template to reference your custom Favicon, and move these just before the closing </head> tag in your template. The reason this trick works is because the code to reference your custom favicon appears after the lines added by Blogger to reference the Blogger favicon. In all HTML documents, code which appears later in the mark-up takes precedence over any tags which appear earlier (unless of course, statements are attached to make the earlier tags preferential!). When using Internet Explorer 6, you will only see favicons appear in the address bar if you have bookmarked the site you are viewing. The tern "favicon" is short for "favorite icon", and as such Internet Explorer will only display the favicon of a site if the site is recognized as one of your favorites (ie: if you have bookmarked the site in your browser!). Some people also report that the favicon will only display when viewing the particular page they have bookmarked, and not the entire site. In this case, you would need to restart your browser for the favicon to appear in the address bar of all pages. Your internet security settings (both in Internet Explorer and any anti-virus/anti-spyware programs you use) may also affect whether or not favicons will be displayed in IE6. Were you able to fix your broken favicon? I hope this post has provided a useful overview of how to fix the link to your custom favicon in your Blogger blog. Please feel free to leave your comments and suggestions below. Yesterday a few readers emailed me to explain that there were issues with Blogger's embedded comment form. The issue was that the "Comment as" drop down menu was empty, preventing readers from choosing an identity for their comments which in turn prevented comments from being left. As yet, the Blogger team have not acknowledged this issue on the Known Issues (or any other blog), and as far as we can tell, the problem should now be resolved. It could have been a browser-related issue, or perhaps Blogger was making some improvements to the embedded comment form which caused this temporary glitch? Software Testing Zone wrote about this issue in detail, and has since updated this post to explain that this issue appears to have been resolved. I personally did not experience any problems with the embedded comment form for any of the Blogger blogs I viewed over the past few days, but I am interested to learn more about this issue in case something similar happens in the future. For anyone still experiencing this problem when reading Blogger powered blogs, try refreshing your browser (press F5 for most browsers, which completely refreshed the page), or clear cookies and temporary internet files to ensure you have a fresh version of the page. If you were affected by issues with the embedded comment form, please do leave a comment below with some information, such as the browser you were using (Firefox, IE6/7, Safari), whether the blog was using a custom domain or a customized template, etc. Thank you all for keeping me informed about any Blogger issues you are experiencing! Even though I am not officially affiliated to Blogger, I will do my best to help the Blogger community in any way I can. 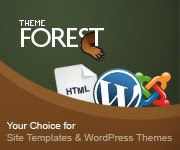 Theme Forest is the first template marketplace I've encountered which offers premium Blogger templates for download, alongside web templates and themes for other CMS's. At the time of writing, there are 7 premium Blogger XML templates available for download, though I suspect many more will become available in the coming weeks as more designers create themes for our favorite blogging platform. These themes are very reasonably priced (between $10 and $12 at the moment) and as they are offered as premium downloads, they have been designed exclusively by the theme author. For some time, I have considered designing premium Blogger templates, but had been anxious about the amount of time and work involved in creating a site through which to sell these. So when I discovered Theme Forest, I decided this would be a much better entrance for me into the realm of premium template sales. Both of these themes are three column designs and, as you should expect of a premium theme, these offer many non-standard features. The download files include all template images used in the theme and a comprehensive PDF which includes instructions for upload and set-up. 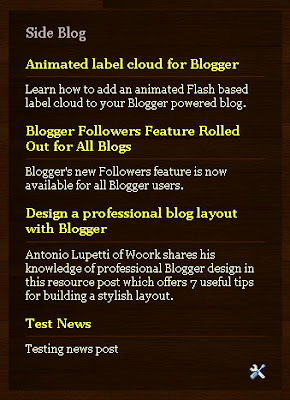 Here you can browse the full selection of Blogger themes on Theme Forest. I also have two more premium themes in progress which should be complete and ready for sale in the next couple of weeks. Will I still be creating FREE Blogger templates? Of course! Blogger Buster is my pride and joy: I love writing about Blogger and creating templates for others to use, and I assure you that I'll continue to create free templates too. As I'm sure many of you will understand, I do still need to put food on the table. Anything I earn from designing for Theme Forest will be extra income which enables me to spend more time researching and blogging than working on freelance projects. 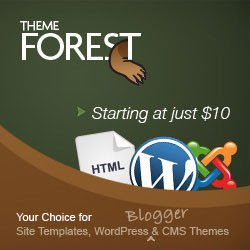 Theme Forest is one of three marketplaces housed on the Envato blog network (the others being FlashDen and Audio Jungle). To purchase a theme or other offering from these marketplaces, you need to register your free account and make a deposit (min $20) which can be spent on any of the marketplaces, and on any theme.You can make a purchase by choosing the "purchase" link on any theme page, and as far as I can tell, these downloads are available for you to access at any time, ensuring you can download any updates or changes to your themes which have been made by the theme author. Become a Theme Forest author! Those of you who design Blogger templates may be interested in how easy it is to become a theme author, so I'll fill you in on the details. To become an author, you first need to register your account, then read through a comprehensive tutorial which explains the process and responsibilities of becoming an author. Before you can upload files, you need to complete a questionnaire to ensure you understand the terms and conditions, and how to organize/upload your themes and files. After this, you will be able to upload your templates and themes for review by a member of staff. Once you have uploaded themes for review, your work will be assessed for quality and assigned a price (we cannot choose the prices for our own work at present). Wordpress themes seem to attract the highest prices, while Blogger and general Site templates are priced bwtween $10 and $15. When you first become an author, you will earn 25% of all sales. Once you have sold more than $500 worth of themes, you will be offered the opportinity to become an "exclusive author": this means that you can choose to sell your themes exclusively through the Theme Forest marketplace, and your commission will increase to 35% (and possibly up to 50% in the future). To many, this may see, a very low commission for theme authors (I must admit I'm a little disappointed to earn only $2.50 each time one of my own themes is downloaded). However, I should point out that Theme Forest take on the responsibility of advertising, hosting, distribution of files and so on. This means that authors have no other work than designing and uploading their themes, as all other requirements are taken care of by Theme Forest staff. Referrals generate 50% in commission. This means that if you refer a new user who deposits $20 across the Envato marketplace network, you will earn $10. This offers much more incentive for authors to generate referrals for their themes and for users to promote the availability of themes from their own sites. I would love to know your opinions about Theme Forest as a purchaser or author, and any feedback you may have about the premium Blogger themes I have created, so please feel free to leave your comments and opinions below. An important (and often overlooked) aspect of good blog design is navigation. In order to encourage visitors to read more of your posts, stay longer and make repeated visits, you need to make it easy for readers to navigate and find the information they need! Adding a list of related posts, links to recent articles and easily accessible categories are among the most effective techniques. Another method which I have noticed in many popular blogs is the "breadcrumb trail": a message above posts which explains how the page being read fits into the heirachy of the blog, with liks to the containing categories. 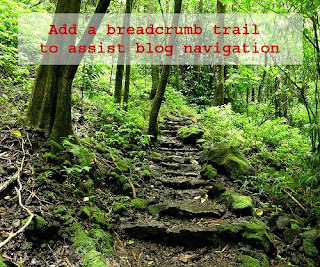 Hoctro wrote a very useful tutorial which explains how to add a "breadcrumb trail" on item pages in Blogger. However, I preffered to use a method which would display a message on all pages of the blog, including Archives and Search/Label pages. So in this tutorial, I'll explain how to add a status message for each page of your blog, with links to the containing pages for easy reference and increased page views. As you may notice, the default "status message"which appears on your search/label pages is replaced by this new breadcrumb trail, ensuring that this area blends completely with your blog design. I have tried to ensure the code used in this tutorial will allow the "breadcrumb trail" to blend with other elements of your template, though you can also customize the code and styling to control the design even more. Go to Layout>Edit HTML in your Blogger dashboard and ensure you have checked the "expand widget templates" box. Find the closing </b:skin> tag in your template (again using your browser search function if it is helpful). If your template does not include the variable $bordercolor, replace this phrase with the hex value of a chosen color instead (eg: #000000 for black). Now preview your template. In the preview, you should see the "Welcome to [your blog name]" message which tells you this customization has worked. If nescessary, you may want to add more margins/padding/a background color to the style statements for #places. Once you have finished, you are ready to save your template. You can then take a look at various pages in your blog to see how this breadcrumb trail operates. I hope this tutorial may be a useful method for enhancing navigation and page-views in your own Blogger template. Please let us know what you think of this hack or how you may have adapted this for your own requirements by leaving a comment below. As today is my birthday, it seems the most appropriate time to introduce you all to my latest blogging venture. We Love Blogger is a gallery and news portal for Blogger fanatics! Here you will find great Blogger designs to inspire you; links to the latest Blogger news and useful tutorials to help you build a better blog. The home page should provide easy access to the areas of most interest, with the gallery on the left, news/tips in the center, and a regular sidebar on the right. In the header, you will find links to submit a new design or news article for later submission to the site. 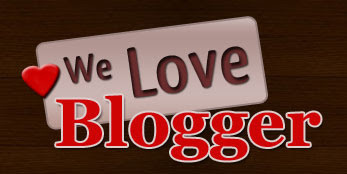 We Love Blogger is an idea I have had for some time. As you may have read in my previous showcase articles, I love to be inspired by great designs (especially those which prove the potential of Blogger as a blogging platform). Learning from the experience of other bloggers is important and highly useful when discovering new and interesting functions for this platform. On Blogger Buster, I think tutorials and lengthy articles have become an expectation. Rather than add many short posts and links on this site, I feel it's more useful for readers (and better coverage for Blogger authors) to feature their articles on a dedicated site. At present, the design (and some functions) of We Love Blogger is not quite complete. Once I am home from vacation, I'll be sure to enhance the overall look and some usability issues for the site to make it a better place to visit and find articles of interest. In the meantime, please visit We Love Blogger, let me know what you think and also any suggestions for how the site can be improved. I hope you enjoy We Love Blogger and will find this a useful addition to the Blogger Buster family of sites.